Assembled by each couple, these baskets full of their favorite things are truly one-of-a-kind. 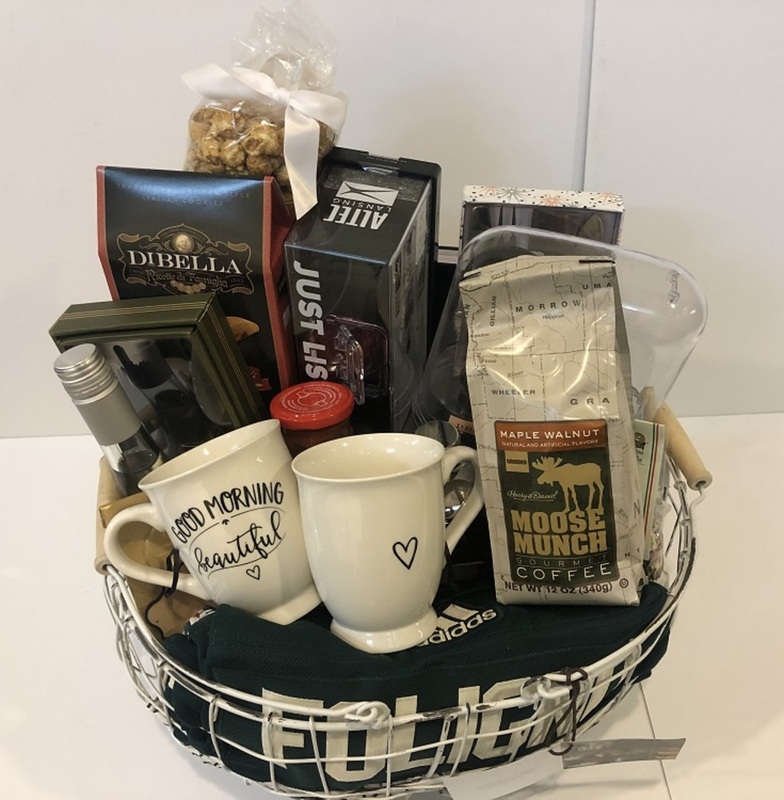 Marcus & Natascia's basket includes:an autogrphed jersey, 2 coffee mugs, a french press, pasta noodles, pasta sauve, Moose Munch Caramel Popcorn, chocolates, a bag of coffee, a "Rabbit" wine opener, a BBQ kit, a cheese knife set, Italian biscotti's, a 2019 planner, a set of moscow mule copper mugs, a moscow mule mix, and wireless waterproof speakers. Proceeds benefit Women's Advocates, a local domestic abuse shelter.